Rottendorf/München, 22. 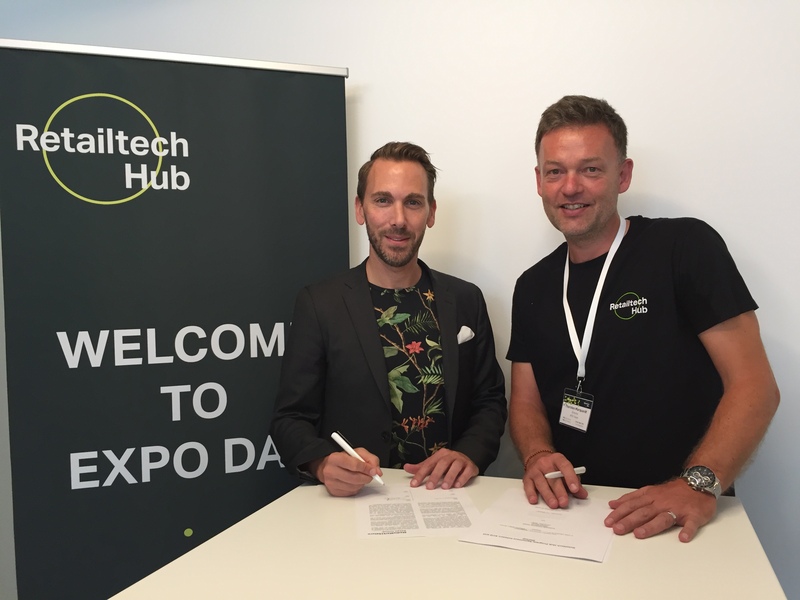 June 2018: The s.Oliver Group became the first fashion company to enter into partnership with the Retailtech Hub in Munich. The s.Oliver Group plans to use the Retailtech Hub’s programmes to identify relevant startups focusing on new technologies and implement joint projects with them in order to develop innovative retail solutions. The s.Oliver Group will be working closely with international tech startups as well as other businesses in the retail sector with the aim of advancing the process of digital transformation. The Retailtech Hub is an innovation platform for forward-looking companies and startups and was founded by MediaMarktSaturn and the accelerator experts from the Plug & Play Tech Center last year. Startups can apply to take part at any time on www.retailtechhub.com. The startups and companies learn more about each other in a selection process. About ten startups are chosen to receive intensive coaching for three months and carry out a pilot project together with one of the participating brands from the retail industry or a related sector. In this way startups can put their technologies to the test in the market. While doing so, they can benefit from the structures and processes of established corporations such as the s.Oliver Group. The s.Oliver Group also works on new technologies internally in its Digital Innovation Hub. “We’re already very active in this area. However, this partnership will ensure that we can constantly explore the latest solutions and technologies from all over the world and hence delight our customers with even more innovations,” declared Dr Dirk Schneider, Chief Digital Officer of the s.Oliver Group, emphasizing the benefits of the partnership. The selection process for the third batch of the programme, during which pilot projects with participating founders will be carried out by the s.Oliver Group, has started yesterday. The s.Oliver Group was established by Bernd Freier in 1969. In only a few decades, it has grown into one of Europe’s leading fashion companies. In 2016, the Group generated a brand turnover of more than 1.6 billion euros and employs around 7,000 people internationally. Besides the brands s.Oliver, s.Oliver BLACK LABEL, s.Oliver ACTIVE, Q/S designed by and TRIANGLE, the company’s portfolio also includes comma, comma casual identity and LIEBESKIND BERLIN.